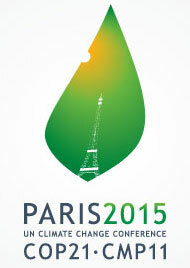 2015 gave us the Paris Agreement on Climate Change and the Sustainable Development Goals. Where does Life Cycle Thinking fit in? 2015 has been a momentous year. In the face of extraordinary challenges the world has come together in two unprecedented agreements: the Sustainable Development Goals (SDGs) within the 2030 Development Agenda adopted in September, and the “monumental triumph” of the Paris Climate Change Agreement adopted last month. These agreements rightly focus on the result that is to be achieved, the goals: the Paris Agreement aims among others to hold the increase in the global average temperature to well below 2°C and to pursue efforts to limit it to 1.5°C. The SDGs put poverty eradication and sustainable development at the core of the 2030 development agenda, recognizing that there is little hope for human development without sustainable development. The vision of the goals provides an overall direction and brings everyone together around the same compass, but how to get there? This is where Life Cycle Thinking (LCT) is needed, supporting our steps towards sustainable development by identifying priorities of interventions based on the areas for highest opportunities and managing potential trade-offs. In the case of climate change, the Paris Agreement states that countries must strengthen and renew their Intended Nationally Determined Contributions (INDCs, in essence the amount of greenhouse gas emissions countries plan to reduce) in order to bridge the emissions gap and stay below 2°C temperature increase (The Emissions Gap Report 2015). Life Cycle Thinking applied to assess hotspots at the national level strategically supports countries to focus on the areas where emissions can be reduced most efficiently, even outside of the country’s borders (e.g. influencing the way in which imported commodities are sourced or products manufactured). The Paris Agreement also emphasizes the instrumental role of innovation in reaching the 1.5 to 2°C target. In order to reach that goal and make the right choices, environmental intelligence is needed: Life Cycle Thinking is part of this intelligence. Indeed, Life Cycle Assessment (LCA) of specific technologies helps identify the most efficient technologies to address emission hotspots, while managing potential trade-offs by avoiding single-metric blindness. A great example of such assessment is the recently published infographic by the International Resource Panel on Green Energy Choices. 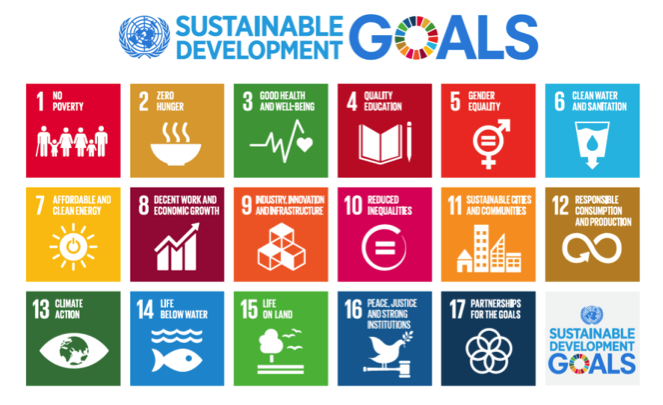 The Sustainable Development Goals implicitly require Life Cycle Thinking as a way to prioritize action by identifying the key drivers of environmental (and social) problems, and to ensure that no unintended trade-offs occur. Life Cycle Thinking, understood as a learning process, helps identify hotspots where action is most effective and efficient, and thus improve resource efficiency with environmental, social and economic benefits. Even though many of the SDG proposed targets offer opportunities to use better life cycle approaches, we can highlight goals 11 (Sustainable Cities and Communities ) and 12 (Sustainable Consumption and Production). LCT is a necessary component in the SDGs’ objective to promote sustainable innovation and business models, particularly through the assessment of products and technologies, product sustainability information, and eco-design. Capacity development to facilitate access to life-cycle knowledge (such as eco-innovation and LCM-CMM) provide businesses (especially small- and medium-sized enterprises) with the means to most effectively improving on their hotspots, and thus increase their sustainability and competitiveness through sustainable business models. Broader approaches such as Organizational LCA provide input for eco-innovation and reporting approaches, and can guide priorities for private and public procurement as recognized e.g. by the Seoul Declaration for Mitigating Climate Change through Low Carbon Procurement presented at the COP21 in Paris last month. The SDGs and the Paris Agreement provide a renewed confirmation of the importance of Life Cycle Thinking to achieve sustainable development and thus of the mission of the Life Cycle Initiative. The UNEP/SETAC Life Cycle Initiative is contributing to these efforts e.g. by driving consensus on hotspots analysis at national and organizational level, and supporting capacity development in the area of greenhouse gas management / carbon footprinting and water footprinting among others. We are also working on the implementation of Life Cycle Thinking to cities planning or sectors such as food, tourism and construction. Access to LCA Data and harmonized impact indicators are at the base of it all, and the Initiative is the global hub for their development. This is what gets us up in the morning, and we start the New Year 2016 with high spirits and willingness to continue and start new partnerships in enabling the global use of life-cycle knowledge.